Returning from break the team took no time getting back to work. This weekend was a busy one. 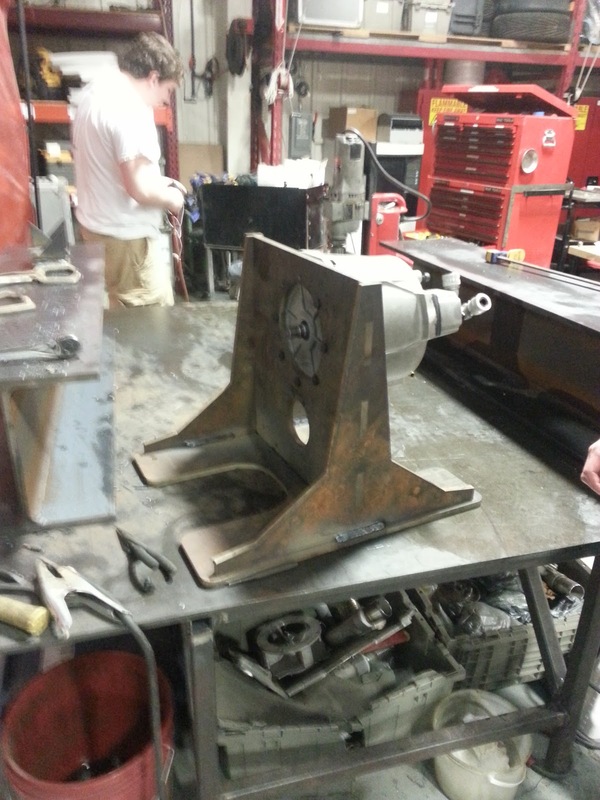 In preparation for motor testing the team finished up the designs of a custom dyno stand and gear box. Because of the tremendous power our specialized motors are able to produce no existing dyno stand can test them directly. To truly optimize performance we need to test the motors with the motor drives as a way to finalize the inverter controlling code. Above is a picture of the torque tube and CV joint that will tie our gear box, and therefor our motor, to the absorber. 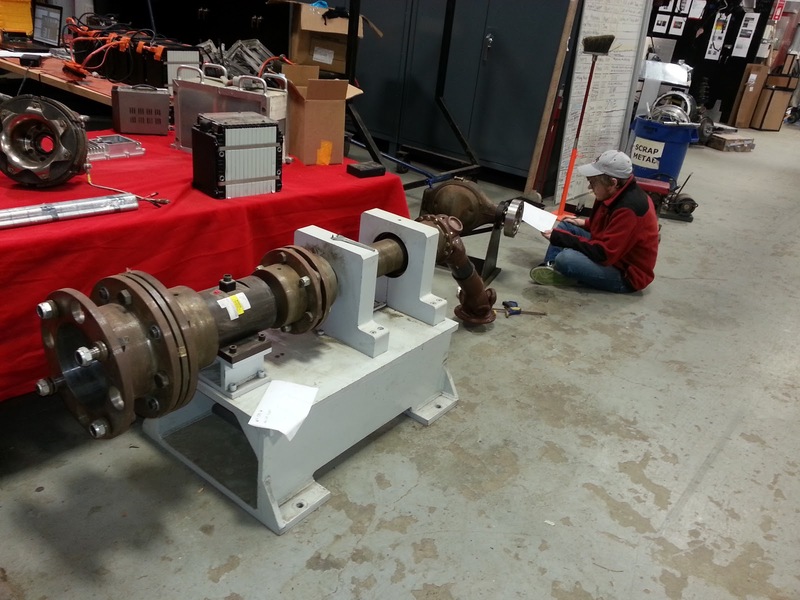 Also, you can see Conor sitting next to a Ford 9 inch axle, which will act as our gearbox housing. 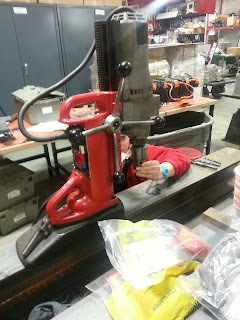 He is measuring the bolt hole pattern so we can machine an interfacing plate. 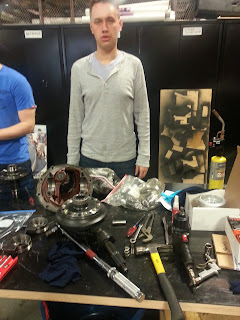 Matt is looking particularly excited to be building a gearbox. The order of assembly became pretty confusing but it wasn't anything we couldn't handle. 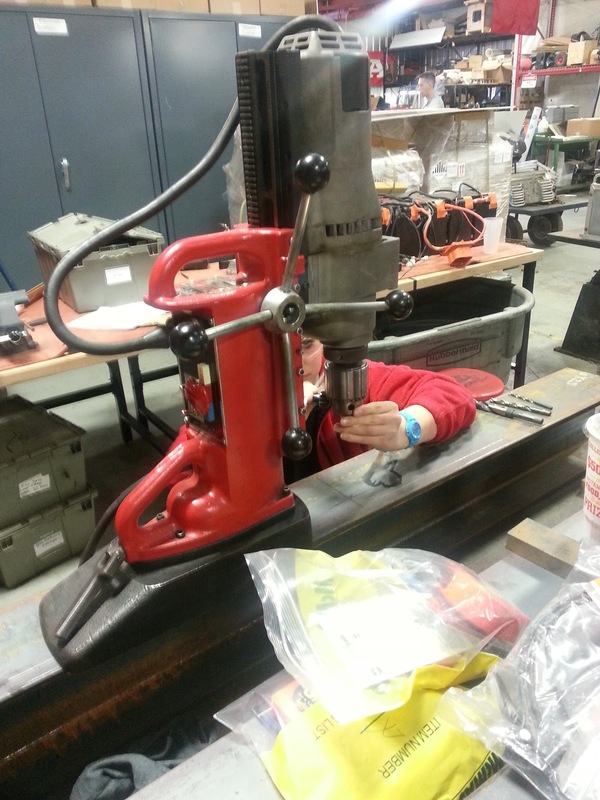 Amanda drilling out some mounting holes in the I beams that will act as the base for gearbox. There is some seriously heavy steel in this stand to absorb any and all vibrations from testing. Safety first. By Sunday afternoon we had started welding things together. We got the motor mounted but there is still some work left to do before we can call this task done. Any specs on the motor ?